"As with every annual shutdown I like to pass on constructive feedback to all companies which carried out work for the mechanical department during the annual shutdown 17-21 March 2014 at Palm Paper. I was very impressed by Zach and Ian’s enthusiasm and professionalism in completing a very arduous task in very basic and Spartan conditions. The task was completed on time and within my projected schedule of works." 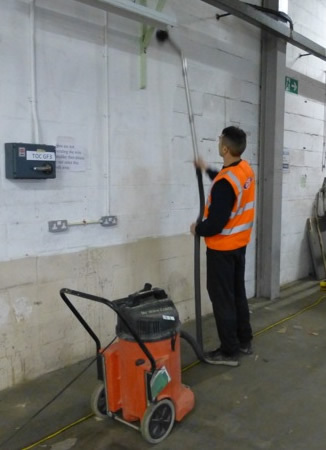 "Thank you for the email, and yes we are pleased with the result your two men achieved, but phase one is not complete as the floor could not be fully cleaned due to the amount of stock, RBLI issue not ICS. I also confirm that phase 2 is due to start on 17th February due to be 5 days, but whilst there was a cherry picker on site last week, the boys did more than was planned in phase one, but 5 days have been allocated and decorators will follow right behind." "We will definitely recommend your company service to others without hesitation. Please feel free to use the feedback." Just wanted to pass on our thanks for your team’s support over our shutdown, we were impressed with their diligence to safety and ability/willingness to crack on with the tasks required.